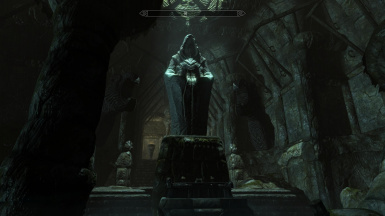 ﻿Thirty one (31) newly added Lore-friendly and Radiant Quest enabled Dungeons to discover and explore throughout Skyrim and Solstheim. 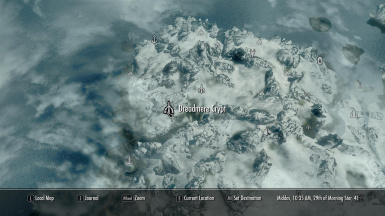 Featuring an expanded land of Vominheim with a few more dungeons and caves to explore. 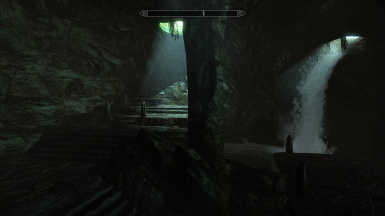 New unique enchantment weapons and armors. 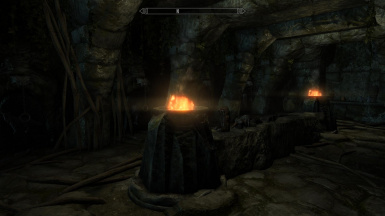 New conjuration spells and three (3) added Followers. 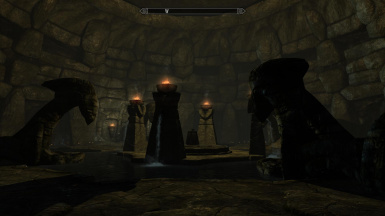 All Dungeons are unique and has different enemies but requires atleast a minimum of level 40 and multiple followers is a MUST. Language translation are welcome with my express permission provided they are uploaded only here. There are two types of file ESP and ESM. Choose only one. Please avoid unnecessary comments or spoilers and/or false bug report. For updates and changelog please do take the time to scroll down and read before posting or commenting anything. ﻿An expanded land where Temple of Vuldur is located. 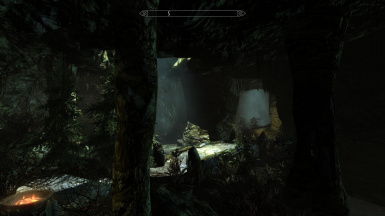 It's about half the size of Solstheim and has few new location, dungeons and caves to explore. 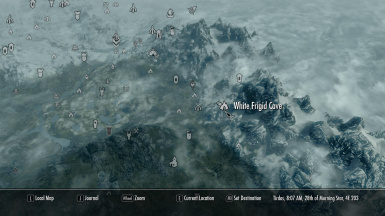 To get there you need to find Coldfear Cavern which is near Avanchnzel and go through an extensive battle to reach the Temple of Vuldur or go to Solstheim and locate Creshaw Hollow which is near Skaal Village but you cannot gain entrance to the center of the island where the Temple of Vuldur is located but will be able to explore all those location written below. 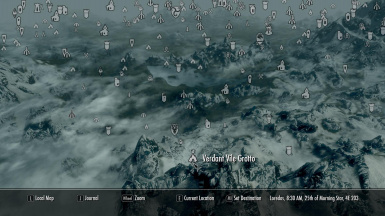 Please bear in mind that the World Map of Vominheim is not really that good. I'm still working on how to improve that. 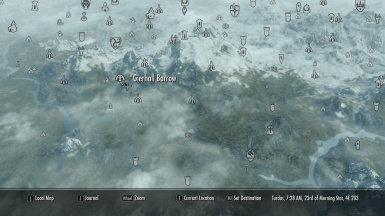 I hope it is not that game breaking. 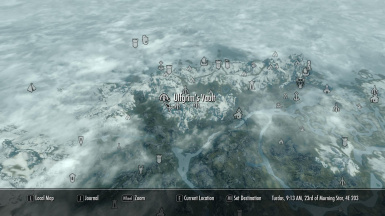 Enjoy the newly expanded land of Vominheim. 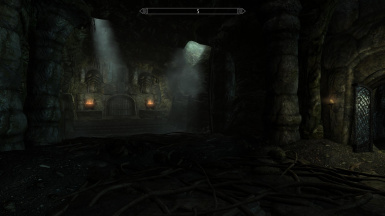 Creshaw Hollow - A ruin crypt near Skaal Village, east of Solstheim. 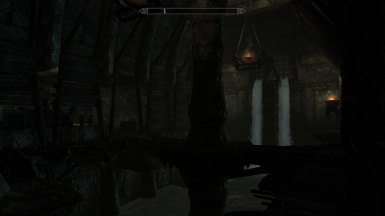 This old crypt has a hidden portal that would take you to Vominheim. 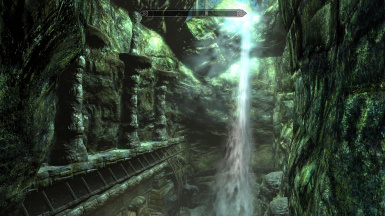 A powerful quake shook the land of Vominheim exposing a hidden passage that was block for centuries. Discover the Temple of the Disciples of Vuldur and retrieve a powerful spell that Lord Vuldur yields. 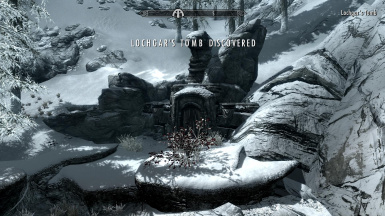 Venture on the far East of Falkreath (East of Bloodlet Throne) and discover an old abandoned crypt where the Tomb of Lochgar lies buried. 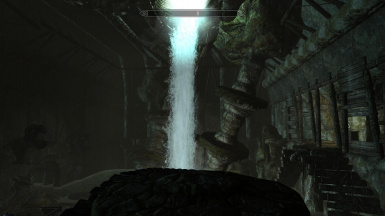 Dive into the waterfall and retrieve a powerful relic. 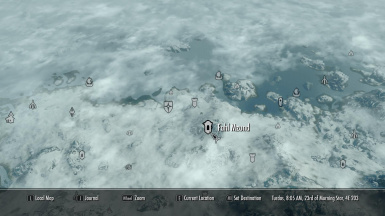 Southeast of Windhelm lies an old abandon temple which is now home of the great bandit leader Admur. 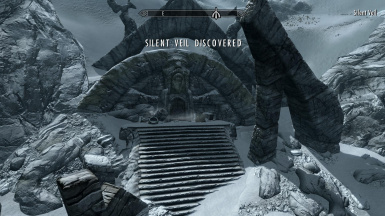 But this old temple has a secret which only you will be able to discover it. 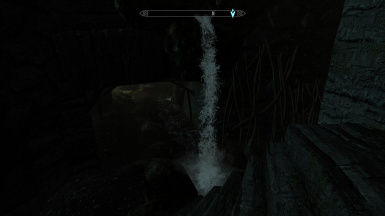 At the far west of Shor's Stone lies an old misty cave with a mysterious old ruin hidden behind the raging waterfalls. 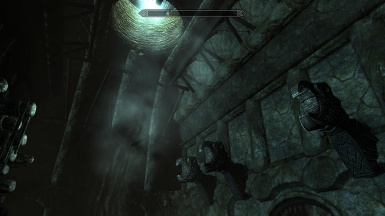 Bandits have taken refuge and are just waiting for their leader to arrive. 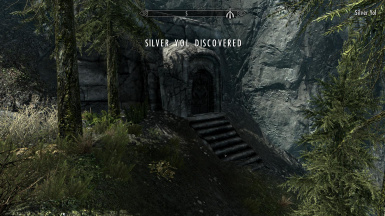 Get there first before they retrieve that an old powerful relic that has been buried for centuries. 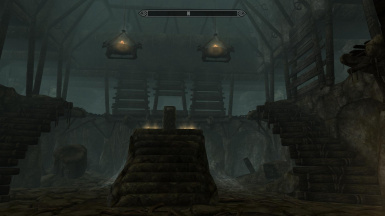 An old abandoned and dilapidated cabin located at southeast of Dragonbridge holds a mysterious and dark secret. Beware necromancers live that place. 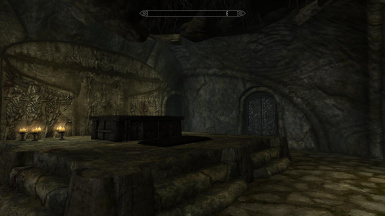 An old dark crypt found at the far West of Solitude (Near west of Volskygge) that hides a secret weapon buried beneath. 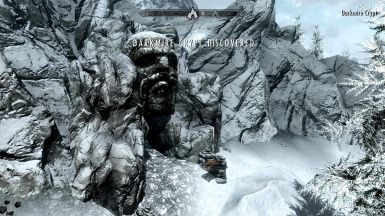 Are you brave enough to retrieve it? 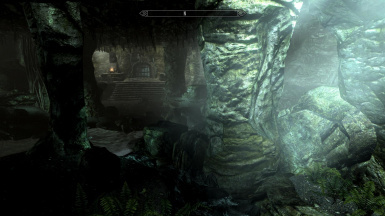 On the far North East of Markarth lies a dark misty troll cave with a hidden tomb buried beneath. 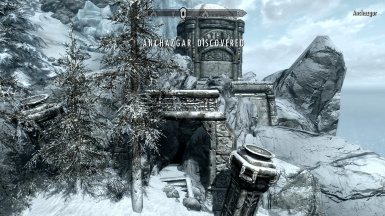 Treasures and exploration awaits to fellow travelers. 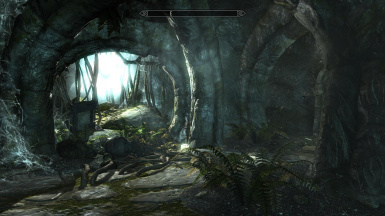 A small cave where a group of bandits resides unknowingly a powerful relic was hidden beneath the old ruin. 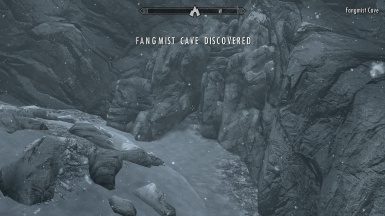 The cave can be found North East of Riften. 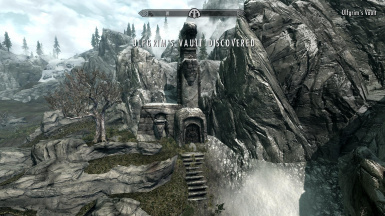 An ancient ruin located at the South West of Helgen. 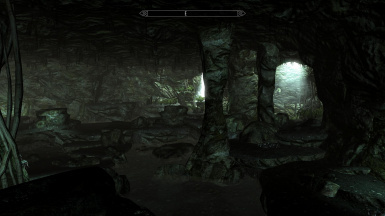 A dark cave with a dark secret. 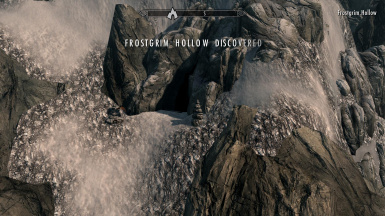 They say a powerful relic was buried there. 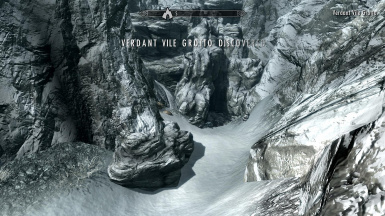 A few dared to venture its ruin but never return. 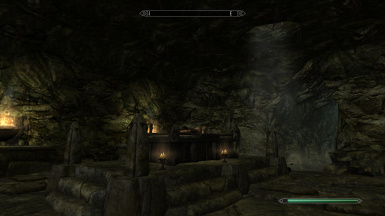 A small group of bandit has found a secret tomb buried within a mining cave North East of Markarth. 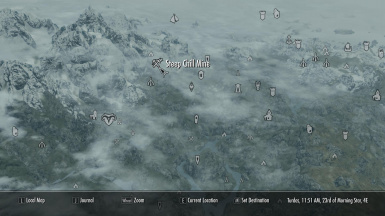 Head over there and see what they have found. 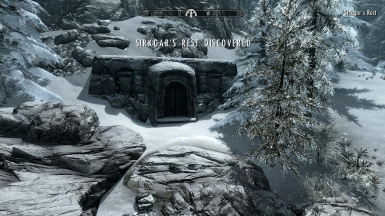 On the far south of Morthal lies an ancient tomb where a powerful nord warrior was buried. Seek his tomb and claim the relic weapon he wields. 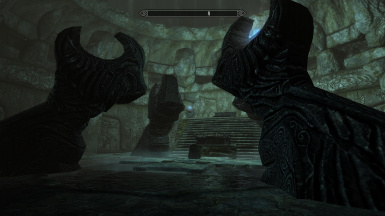 A powerful weapon hidden away in an ancient dwemer ruin Southeast of Dawnstar is yours to claim. 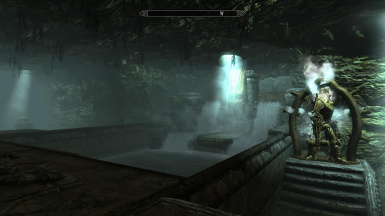 Venture its depths and get ready to face the automatons. 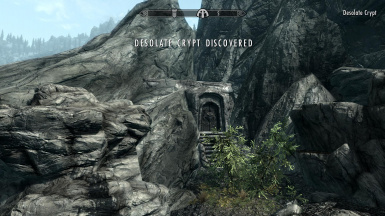 An ancient ruin that holds a powerful amulet waiting for any brave adventurer to claim its power. 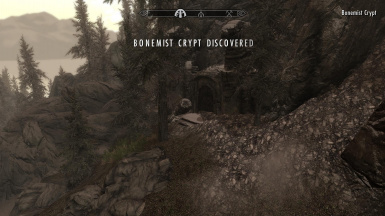 This crypt is found North of Raven Rock in Solstheim. 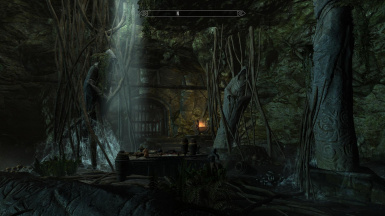 A small group of treasure hunters made camp on an old nordic ruin Southeast of Ivarstead in search for treasures. 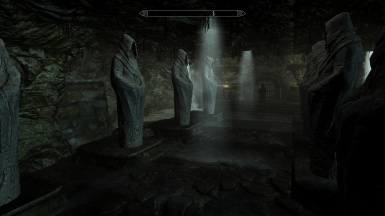 Little did they know that this decrepit crypt is cursed. 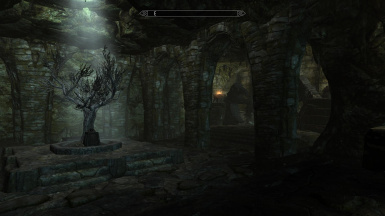 Folk say they saw dark entities wandering about within this mysterious ruin. 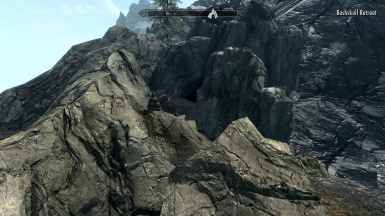 You are dragonborn and such things doesn't fear you. 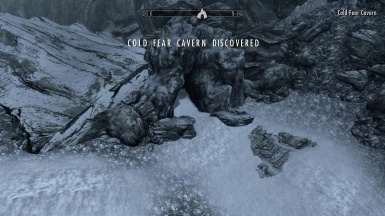 Head in and find out the fate of those lads. 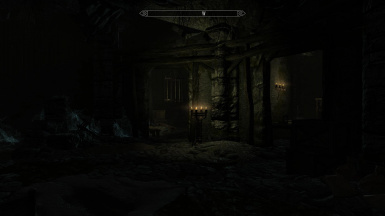 A small crypt west of Skaal Village has been occupied by bandits in search for the weapon called "Raedsel" (Danish word for horror/terror). 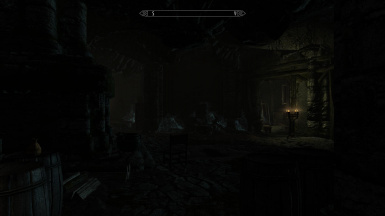 Venture the crypt and claim that weapon before they do. 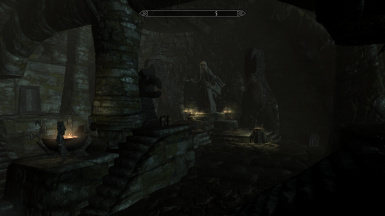 A mysterious group of warlock headed by a vicious leader has taken over an abandon imperial prison tower at the far south of Rorikstead (Tower location southeast of Lost Valley Redoubt). 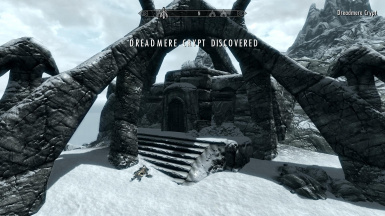 Beneath that tower they have uncovered a hidden tomb of a powerful necromancer. 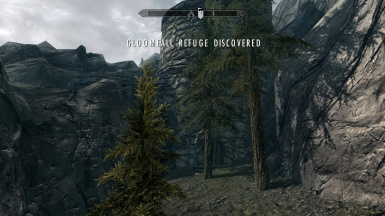 Now its only a matter of time that they would unlock it and claim its mighty weapon. It is up to you to get there and stop their plan before its too late. 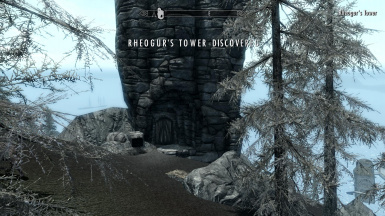 The Lost Relic of Lord Hammet - Far away on the eastern side of Solstheim stands a lonely tower were the tomb of Lord Rheogur lies buried. But buried within him was an ancient secret on which he alone holds the key to unlock it. 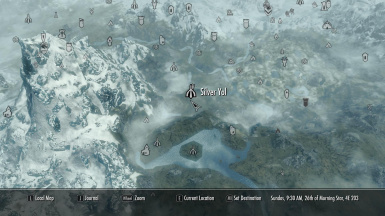 Search for that tower and claim Lord Hammet's powerful relic together with Venj, a dark elf assassin follower. 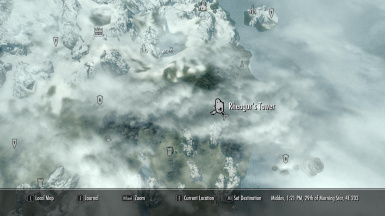 You can find him just waiting at the tower (Rheogur's Tower- he lives there) or sometimes at Raven Rock. His perk are lightfoot, stealth and an expert on sword. 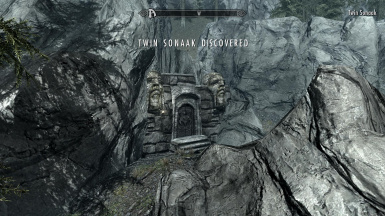 On the far Southwest of White Ridge Barrow in Solstheim lies a nordic ruin where brave men wager for treasure hunt and never come back. 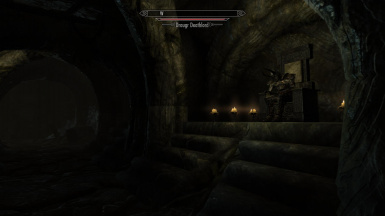 It is said an ancient evil slumber among the darkest depths of the catacomb. 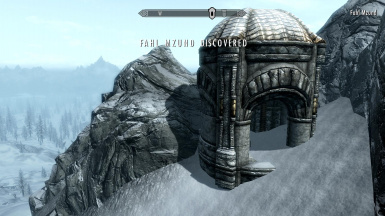 Peril or not yet treasure hunters would still explore the ruin seeking fortune. 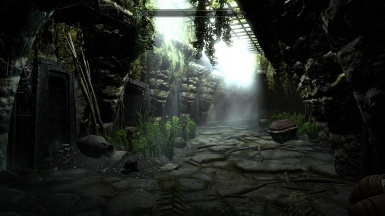 Head in and experience the fate of the treasure hunters. 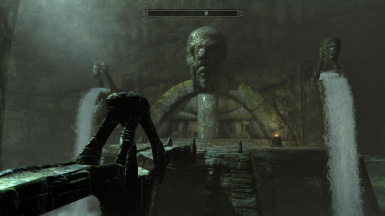 An ancient Dwemer ruin located at the northern part of Solstheim. 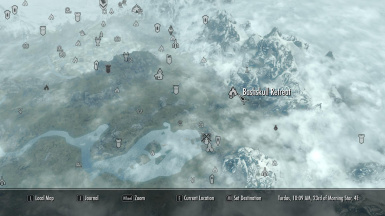 Located North-West of Skaal Village. 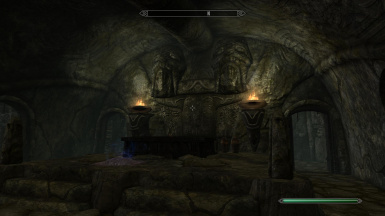 Discover the secret of the Dwemer Ruin and claim what it holds. Tread carefully for it is occupied by a group of marauders headed by a vicious leader. 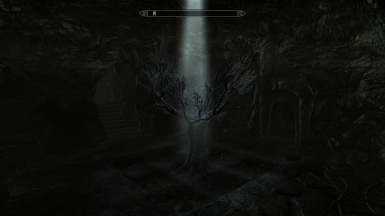 A dark and mysterious cave with a dark secret,Darkmire Crypt lies west of Bloodlet Throne. 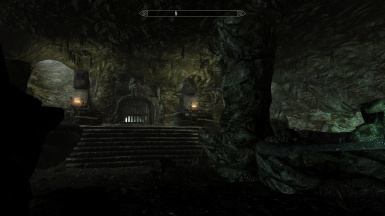 Hidden within this catacomb is the Tomb of Ingulfrid who was once a powerful dark mage queen now lies buried and lock away for centuries. 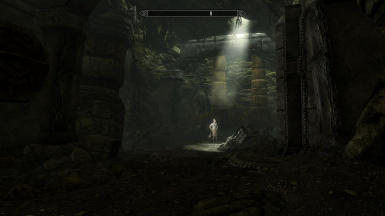 Only the most powerful warrior will dare to venture this forbidden tomb and claim its prize or his life. 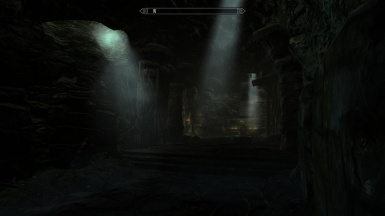 A group of Bandit has ventured into the Tomb of Hokimir to retrieve a powerful weapon. 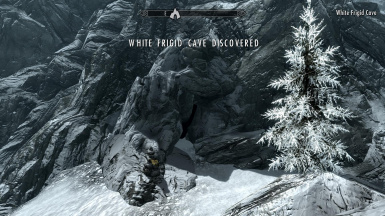 You must journey to Southwest of Kagrenzel where the tomb lies at the depths of the frigid cave before they'll get it first. 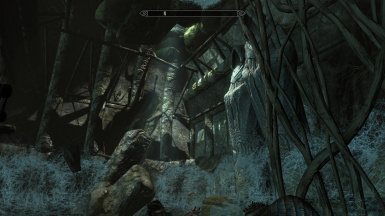 A frozen cave south of Stendarr's Beacon lies a secret passage to the tomb of a powerful warrior. 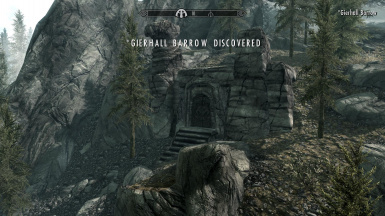 Dare to travel and discover what buried treasure awaits. 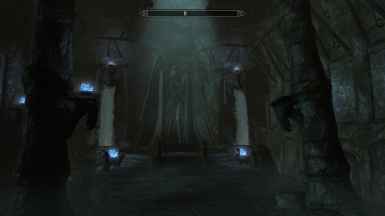 Venture into the depths of the tomb, a nordic ruin east of Fort Neugrad and claim a powerful relic of Lord Valdgar. 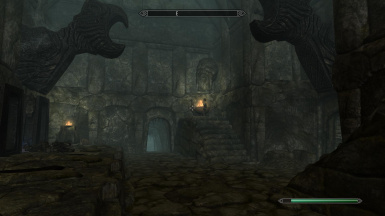 A mysterious weapon hidden beneath the forgotten temple that awaits the brave to claim its power. 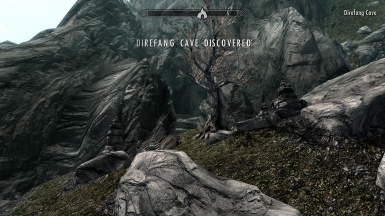 Travel to Direfang Cave West of Valthume and journey into the catacombs and face your fear. 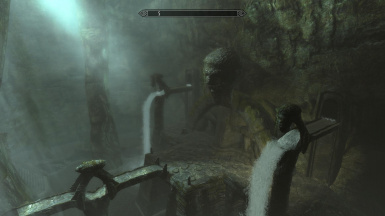 The Temple of Vuldur -Travel to Cold Fear Cavern south of Avanchnzel and discover what lies beneath the dark misty cave. 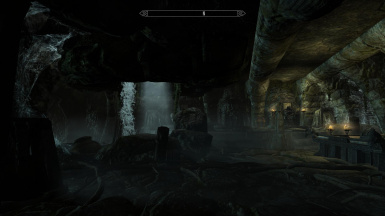 This cave system has a secret door that leads to a large dungeon compose of several cells and a portal to Vuldur's Temple. 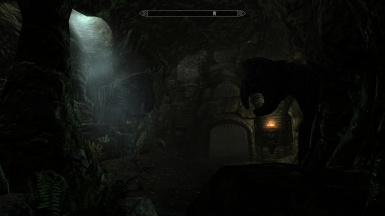 Battle your way through one of the toughest enemies you'll encounter and defeat a very powerful Dragon Priest. 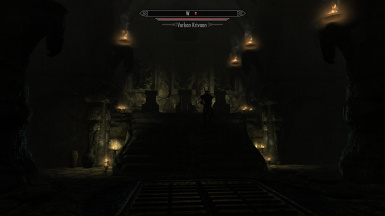 This dungeon is very large and may take hours to finish and you might as well take Yzla Titanborn as follower, she is a Redguard Barbarian and can be found at Moorside Inn, Morthal. Her perks are Barbarian, tower of strength, lightfoot, stealth and juggernaut. She will level up with the player. 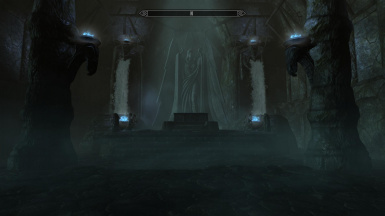 A burial tomb East of Twilight Sepulcher. 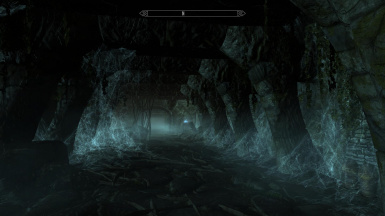 Are you brave enough to explore it's dark tunnels? 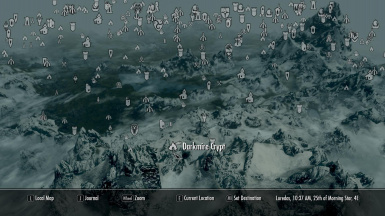 Bring a lot of torches. Relocated but just on the opposite side of the hill. 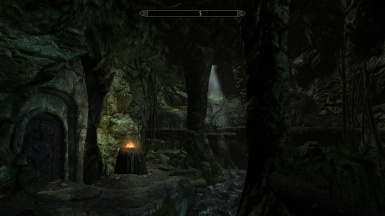 A mysterious cave just South of Falkreath. Discover the hidden Temple and claim the Relic of the Wraith King. 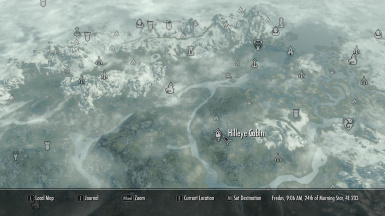 You'll encounter different enemies here. 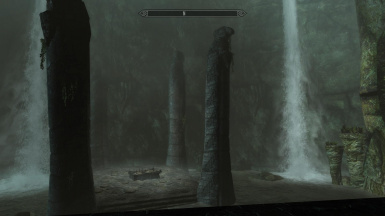 A nordic ruin just North East of Ivarstead. Conquer the dungeon and destroy the powerful enemies that lurks the depths and wield the weapon hidden beneath the catacombs. 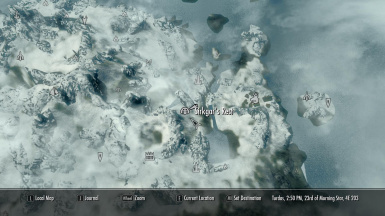 A Nordic ruin just North West of Knifepoint Ridge.The word "SONAAK" from the dragon language which means priest. Defeat the twin brothers and wield their power against your enemies. 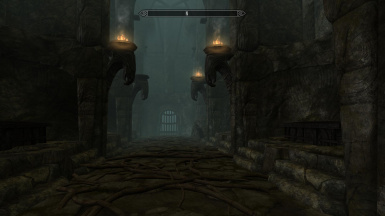 A nordic dungeon West of Solitude. The word “Vasik” from the dragon language which means to Drain. 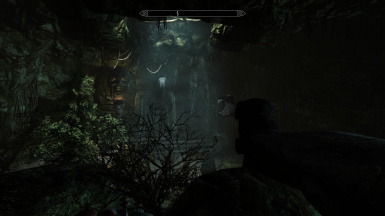 Enemies and traps await you as you descend to face the Fallen Warriors and Vasik himself. Vasik has the power to drain your life, to defeat him you're going to have to use your wit. 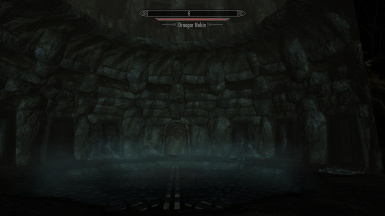 -a new dungeon Lochgar's Tomb has been added. 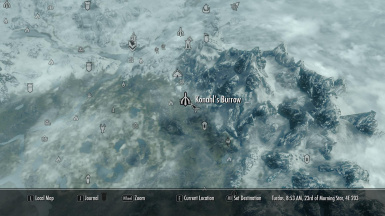 -moved Konahl's Burrow location a bit further up. 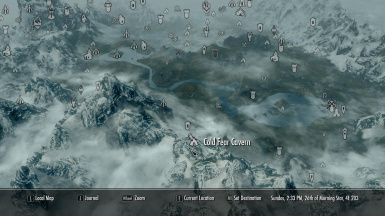 -just a reupload of v1.871 and re-clean with TESedit. Some are reporting error on LOOT on which it doesn't show on my part. -removed the old map marker of Darkmire Crypt at the old location which I somehow forgot to delete. 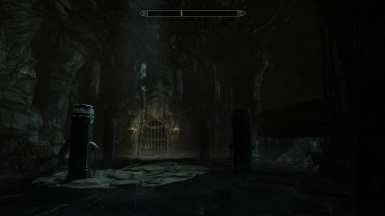 -removed the key requirement to unlock the door in the Boss room on Desolate Crypt. 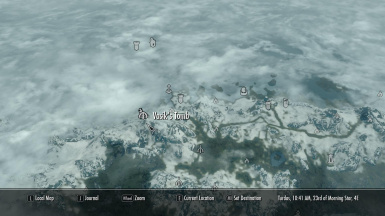 -Vomindok is rename to Vominheim. 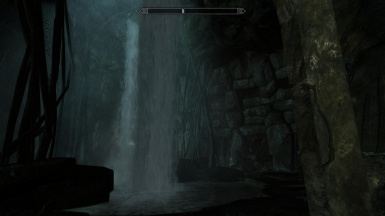 -some enhancement on the land of Vominheim (Temple of Vuldur). 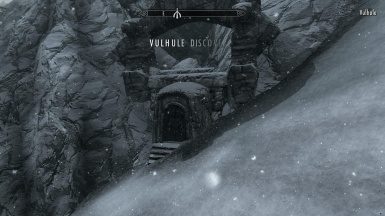 -Portal to Temple of Vuldur is replace with a better portal. -Vuldur is rename to Lord Vuldur and has additional enemy support (No longer alone). 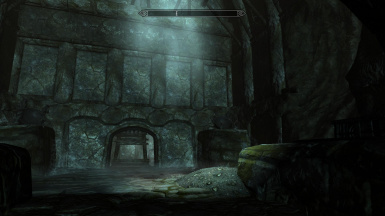 -Darkmire Crypt is relocated to it's original location. 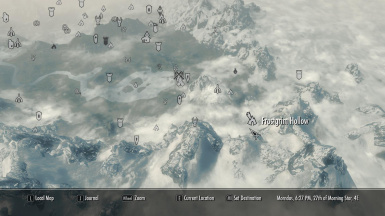 (It will now again conflict with Forfeoranna Heim -Sorry but I love that location). 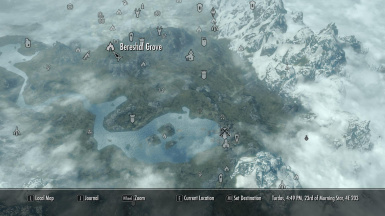 -Fahl Mzund is relocated a bit eastward from it's present location to avoid conflict with Helarchen Creek. 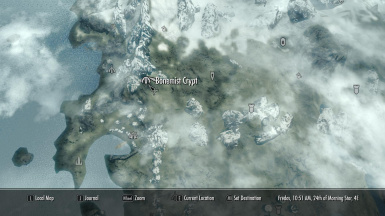 -Darkmire Crypt is relocated East of Bloodlet Throne because of location conflict with Forfeoranna Heim. 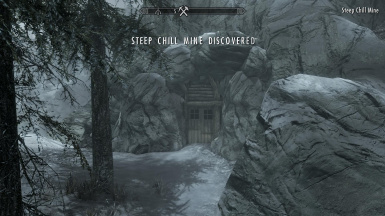 -Steep Chill Mine is relocated far North East of Markarth due to mod location conflict w/ Jurgholm. 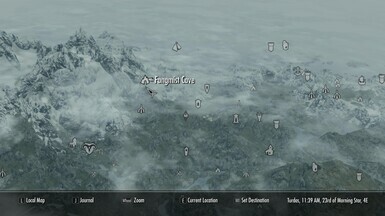 -a new dungeon added Fangmist Cave. 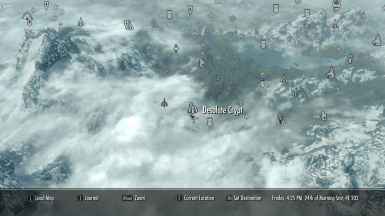 -Desolate Crypt relocated due to conflict location with Coldstone Mine of Interesting NPC mod. 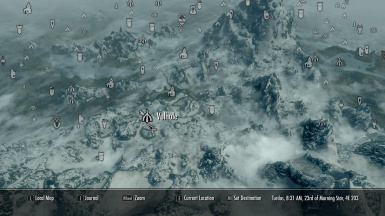 -ambushed fix on Vulhule where the player gets the weapon reward. 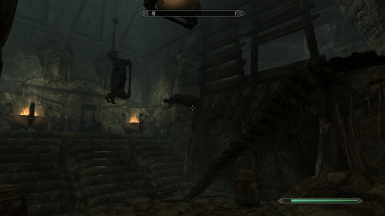 -fix and remove that floating bow and arrow on Bashskull Retreat. 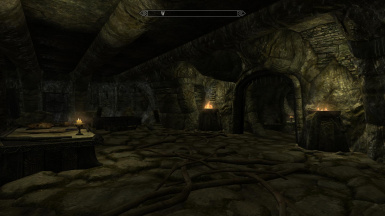 -some minor room additions and enhancement on some of the dungeons. 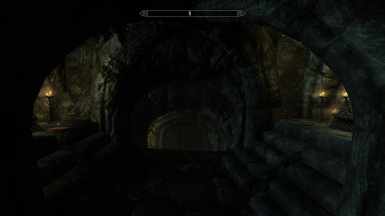 -navmesh fix on all external entrances of the dungeons. 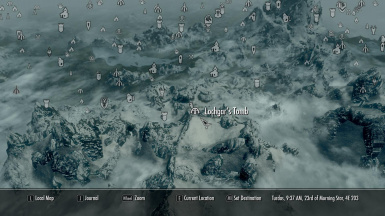 -level list and stats of enemies are now on default/no more custom leveling, this will give way to other leveling mods to be more compatible, except for a few bosses which still have their own unique stats. 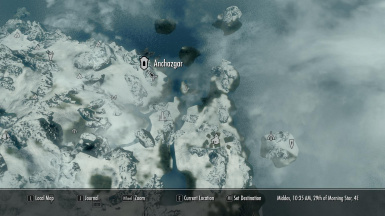 -few ambushes fix/revamp on Silveryol, Vasik & Sonaak. 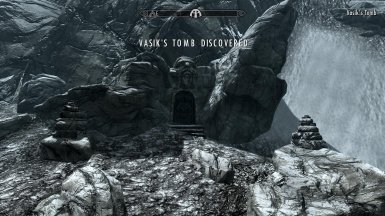 -passage to the claw for Vasik's Tomb is now visible. -reward weapon stats for Vulhule and Steep Chill Mine has been enhance a bit. 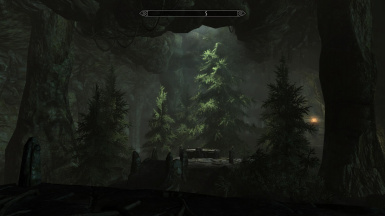 -added a stairway/path on the right side. 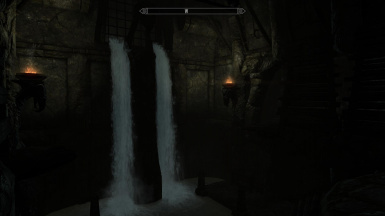 -improvement and enhancement on old dungeons like silveryol, sonaak and silent veil. 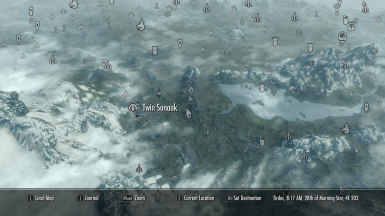 -forget to run check for errors on TES5Edit. My deepest apology for the inconvenience. 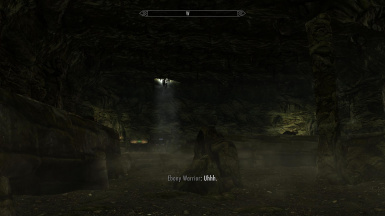 -fixed issue on Silveryol were draugr boss (Norok)would get up early before opening the gate. 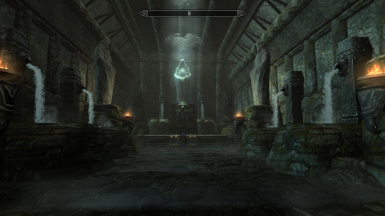 -light enhancement and cell improvement on all dungeons, especially on Desolate Crypt and Silent Veil. 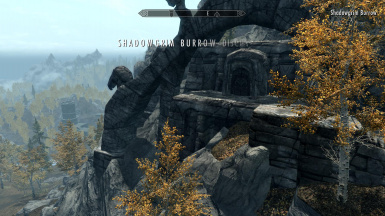 -misspelled Rheogur's weapon should be"Debilitator" not "Delibitator"
-fixed that invisible shock rune that is causing a problem on some areas like Bleakfalls Barrow. 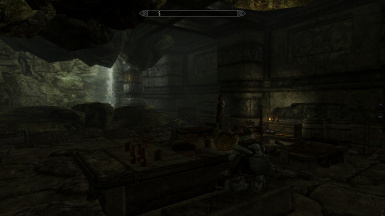 -fixed on Venj (follower) having 18 dwarven bow in stead of 1. -minor improvement on Twin Sonaak Cell 2 & 3 and on final Boss cell. 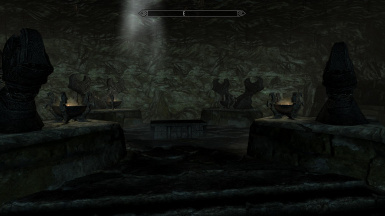 -minor improvement on Vasik's tomb and additional candle light in order for player to be able to locate the claw. 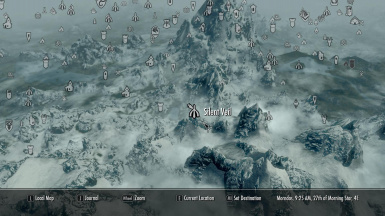 -fixed Silent Veil not getting "Cleared"after killing the boss npc. 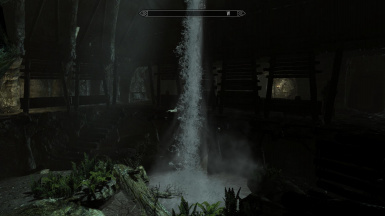 -fixed an error rendering part of Volskygge exterior under water. 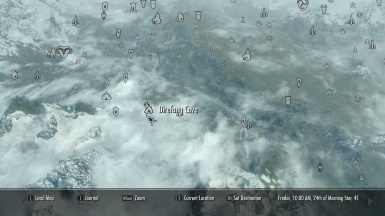 -fixed the issue regarding Ingulfrid enemy npc AI data tag was wrongfully set to average. 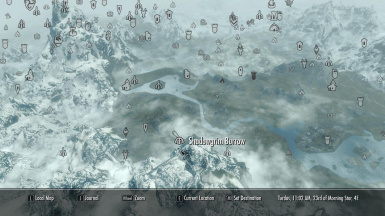 My mod is not perfect. There might be bugs or issues but I'm doing my best to fix these concern to the best of my ability. 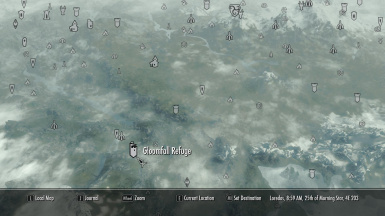 One other thing please do make backup before installing this mod. If you have any suggestions or issues please let me know and let us be more respectful at each other when we do criticism. Remember I'm doing this for FREE. And Big Warm Thank you to all that has been supportive to me in my group at Facebook. You know who you are.